Q: How long have you been involved in FlightGear? What was it that made you join? While modelling Schiphol, I stumbled across this free flight sim, called FlightGear, that wasn’t a game, unlike Google’s. In one of my first posts on the FlightGear forum I asked for someone to place my models into FlightGear’s scenery. Georg (Heliflyer) placed my first buildings. I took some effort, but I finally managed to place buildings myself. Sadly the guy that introduced me to FlightGear and gave me a hobby that would last up till today, passed away in 2009. Q: Do you have real world connections with aviation or IT? Since two months I’m studying Aerospace Engineering at the University of Delft. So far I really like this mix of hobby and study. Before starting this study my only connection with aviation (other than traveling) was a one hour flyinglesson in a twinprop, I got for my birthday. If you have a chance to do such a flight, I’d defenitely encourage you to do so. It’s an amazing experience. Q: What are your major interests in FlightGear? One of the things I like about FlightGear is the wide range of things one can get involved with: modelling, texturing, writing manuals, collecting data etc. and of course flying itself. Therefore I have a very long list of interests. However, there are three key parts that I particularly enjoy; being the development of scenery and aircraft and helping others by writing wiki articles and replying to questions at the forum. Q: What project(s) are you working on right now? My main development projects right now are the Boeing 747-400 and Dutch scenery. Both can be considered as never finished; there are always things to add/improve. Q: On average, how much time do you spend working with/contributing to FlightGear? Until this year I spent roughly 4 to 5 hours a day on FlightGear related things. Now that I’m studying I have less free time, but still several hours a day on average. Most of that time is taken up by non-development stuff, like the forum, wiki and livery database. Over the years I’ve been spending way too litle time on the actual flying. Q: What do you plan on doing in the future? I would really like to bring the 744 to a state where a real pilot cannot spot a thing that is missing in the simulation. Q: What advice can you give to new developers who want to get started on their first aircraft/new feature/Nasal script? Starting something new is easy, completing it is much harder. I could have never guessed I would still be working on the 744, three years after I started! I’ve always been telling newcomers to start improving existing features. It’s a great way to familiarize yourself with the project. By looking into existing aircraft’s files for example, you will quickly find out how those files are linked together and what their purpose is. And above all: enjoy the process! Things will go slow, will require lots of dedication and you will do a lot of work that ends up being useless; but once you’ve got to a certain level you’ll know it was worth it. Q: How long have you been involved in FlightGear? I’ve been contributing for the last 5 or so years, and was using it before that. I dip in and out of lots of things. I’ve spent a lot of time in the last couple of years working on the 3D clouds, and before that random vegetation. I’ve created a couple of aircraft (vulcanb2,flash2a, pittss1c), and maintain a couple more (c172p, a4f, Cub). I also help maintain The Manual. I’m one of the moderators on the forums, and I sometimes remember to write something for the Newsletter. Like many contributors I spend way more time messing around with things rather than actually doing flights! I enjoy warbirds (the p51d is a big challenge for me), and the c172p or Cub for some easier flying. Trying to get more performance out of the 3D clouds! I’m also looking at improving the HTML output of The Manual, so it’s easier to use online. Less fiddling, more flying! I have a 14 month old daughter so my FG time has been constrained, and will become more so in the future. Q: Are you happy with the way the FlightGear project is going? Absolutely. FG has never been healthier. With all the hard work people like James Turner and others have put into our Jenkins build server we’re now able to produce releases every 6 months. That’s a massive step forward from even two years ago. The range and quality of aircraft in the hangar continues to increase, and Martin’s continual work on improving our scenery infrastructure will pay huge dividends in the future. Q: What do you enjoy most about developing for FlightGear? Getting the chance to work with a great group of people, even if I never get the chance to meet them in real life. Coming across a really nicely modelled aircraft or some new feature I never knew existed. 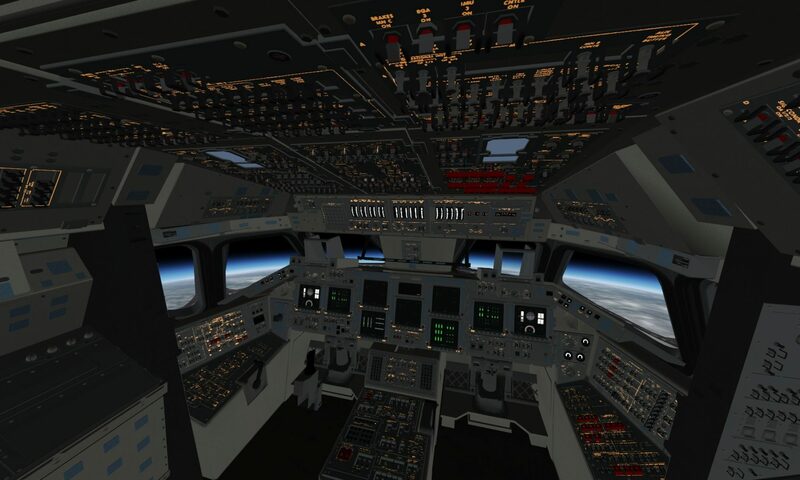 Q: Are there any “hidden features” you have worked on in FlightGear that new users may miss? I also think people get used to new features very quickly, so they effectively disappear. When I created the first proper forests (with a lot of help from Tim Moore), it was pretty exciting as we’d never been able to have that density of foliage before. Nowadays we all take it for granted. Start small. Modify an existing aircraft rather than create a new one from scratch. It’s tempting to start something new, but the amount of time and effort required to actually create a worthwhile aircraft with any realism is huge. We stand on the shoulders of giants in FG, so you might as well take advantage as much as possible! Q: What do you do outside of FG? I have a wife and 16 month old daughter and live in Edinburgh, Scotland. I work as a manager in a software development company (Metaswitch Networks). I’m also a keen climber and telemark ski tourer. Q: Any real life flying experience? 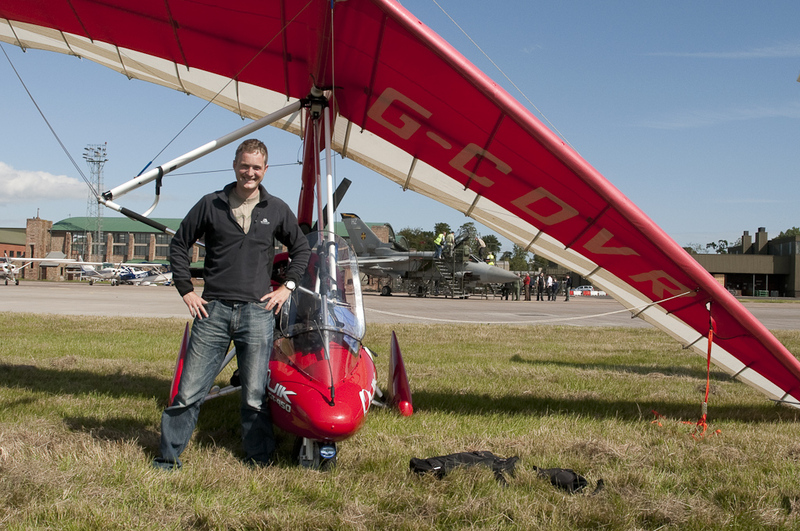 I own and fly a flexwing microlight (aka trike) from East Fortune airfield just outside of Edinburgh (EG32 in FlightGear). I’ve got about 200 hours so far and did a 7 day flying trip to the Isle of Wight in the south of England in 2010.